The web contains a multitude of data items which might be useful to a business, but most of it difficult to obtain in an integrated form. This process can be made remarkably easy through our services, regardless of the data coming from a single source or multiple sources. If the data contains items which are not relevant to the customer’s business, we will filter out the results and export the data in any needed format. Additionally, besides the data itself, significant benefits can be derived for a business by analysing the data in order to obtain a higher level of market awareness. Our services will continue to evolve in this direction as we continue to strive to offer the customer a useful high level vision of the events that might impact their business. TheWebMiner was started in 2012 as a cloud-based data mining tool based on a special design for web scraping (also called web crawling or web harvesting). This tool is now called Get By Sample and can be found in tools section. Based on this tool, we now offer complex data extraction services, both from single web pages and multiple pages. We offer integrated data from any number of these sources which we can then clean and analyse, according to our customers’ needs. Our priority is to offer our customers timely data extraction and analysis while represent the results in a form which is most suitable to their business needs. 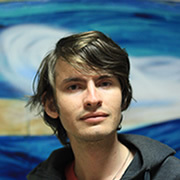 Andrei has founded TheWebMiner, holds a Ph.D. in Economic Cybernetics and Statistics and uses his programming experience to play with data on the web. 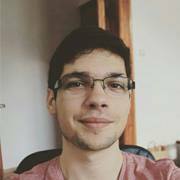 Adrian has founded TheWebMiner, uses his experience in web mining industry to better understand data needs and help our customers more efficiently reach their clients. 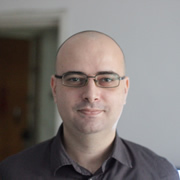 Bogdan has founded TheWebMiner, focusing on the marketing part of the company he is in charge of public communications and market research. 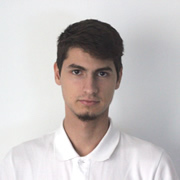 Alin has joined to TheWebMiner as developer and is in charge with web mining activities.